Hang the moon around your neck. 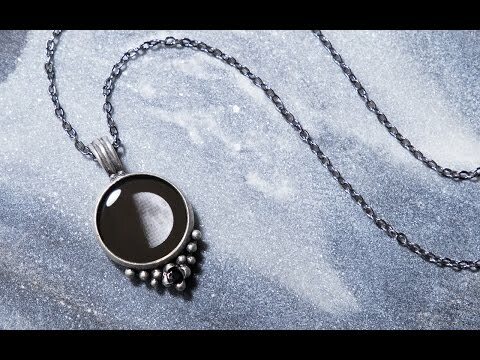 A moon phase necklace captures the moon in a specific phase and places it into a pewter necklace full of meaning. Choose from any moon phase that's special to you—from Full Moon to New Moon, and even including a Lunar or Solar Eclipse. A tiny black crystal lends a touch of sparkle to the antiqued, vintage-inspired design. She loves it. Very pretty, love the idea. I gave my daughter one of these for her birthday and got one with a full moon just for me. I love the look of the necklace! It was a gift. It’s picture don’t do it justice. I love this necklace - very unique.